This is good news again that DD Freedish added a Hindi movie channel on its platform. Khushboo TV is bollywood hindi and music channel by Manoranjan TV. The channel focusing on rural areas will be extensively distributed in the Hindi speaking states of Delhi, UP, Haryana, Rajasthan, Bihar, Jammu and Kashmir, Gujarat, Maharashtra, Madhya Pradesh, Uttaranchal, Punjab and Himachal Pradesh. Apart from promoting Khushboo TV, Creative Channel Advertising & Marketing is its major stakeholder. It also offers Hindi movie channel, Manoranjan TV. The channel is winner of 19th DD Freedish eauction. So finally it has been added for one year. After that depends on its subscription of channel. 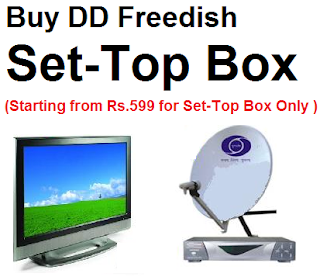 For more updates of DD freedish please keep visit DDdirectDTH.com blog.